About CCT - global children's theatre right here at home. 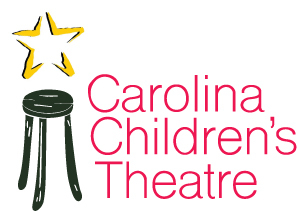 Carolina Children's Theatre encourages children to explore ideas and images through movement, words, song, puppetry and global art. ​Our aim is to exercise our minds and bodies in a safe, fun environment and develop self-confidence, teamwork and kindness along the way. Using a similar format to many European children's theaters, CCT focuses on the joy of the process and not just the result. Carolina Children's Theatre teaches summer drama camps, Saturday drama classes and track out camps for ages 6+ at the Holly Springs Cultural Center in Holly Springs, NC and the Fuquay-Varina Arts Center in Fuquay Varina, NC. We are so excited to now be in our third year at the HSCC launching our 6th Main Stage production, Young King Arthur: The Sword in the Stone. Past productions include Babes in Toyland, The Tale of Troy, A Christmas Carol, The Snow Queen and The Elves and the Shoemaker. Young King Arthur, The Tale of Troy and The Elves and the Shoemaker are world premiers written by Christina Cass Catton exclusively for Carolina Children's Theatre. As a director, writer, performer and producer, Christina has theatre and writing credits in Australia, England, New York and now North Carolina. She has worked on Broadway with Terrence McNally in The Full Monty and London Assurance directed by Joe Dowling and is co-founder and artistic director for the critically-acclaimed smatter theatre ensemble, a Brooklyn-based, nonprofit theatre company committed to the work of emerging American playwrights and reviving ‘lost’ works. ​In Melbourne, Australia, she was creator and artistic director for MWT's Fringe Festival production, MelBorn: 10-10-10​, a performance of 10 short plays, with 10 directors and 10 actors. Most recently, her work in storytelling and puppetry for children combined with art history has led her to the founding of Carolina Children's Theatre. She has written for the entertainment section of The Independent Weekly and about children's entertainment in Carolina Parent. She lives in Fuquay Varina with her husband and two boys.